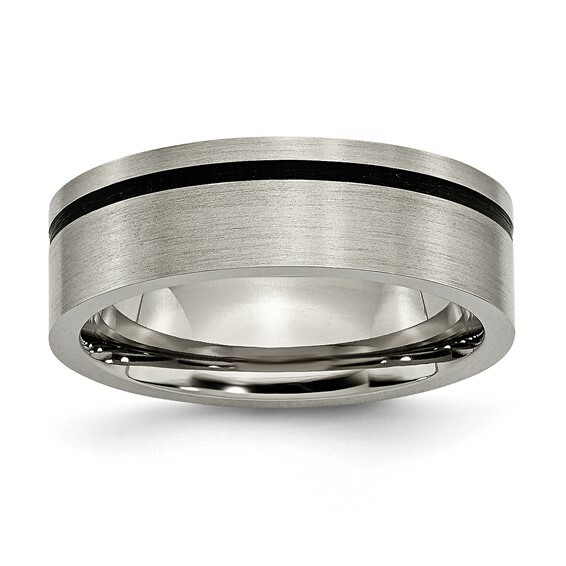 Brushed flat ring features one offset black rubber accent. Width: 7mm. Comfort fit. Made of commercially pure [CP] titanium in China. It is more than you think!! !